Pin trading is surprisingly fun. 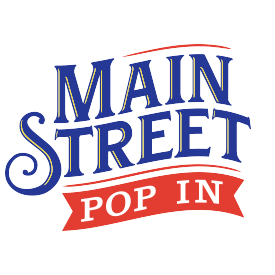 I’ve been reluctant to try it all these years because I thought it would be too costly. Then Cat, our POP IN team fashionista, gave me a hack that made it totally affordable. 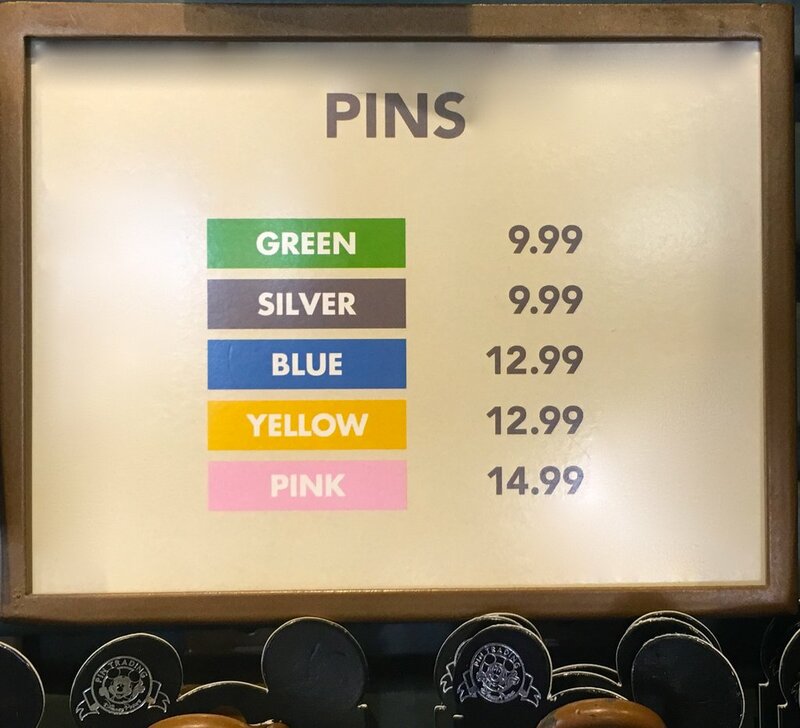 If you’re not familiar with Disney pin trading, here’s the expensive way to do it. First, purchase a lanyard and some Disney pins. 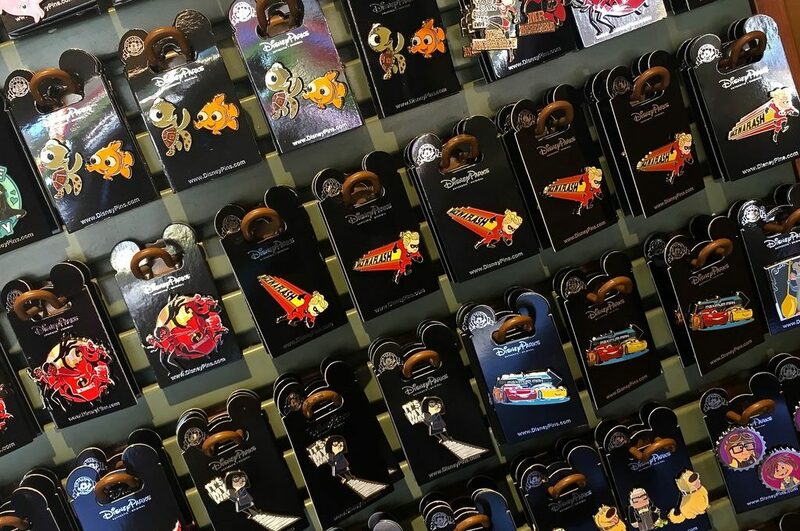 An infinite number of pins are available for purchase through the parks. Pretty much every character, occasion, season, resort, attraction, holiday, etc. has a pin to commemorate it. 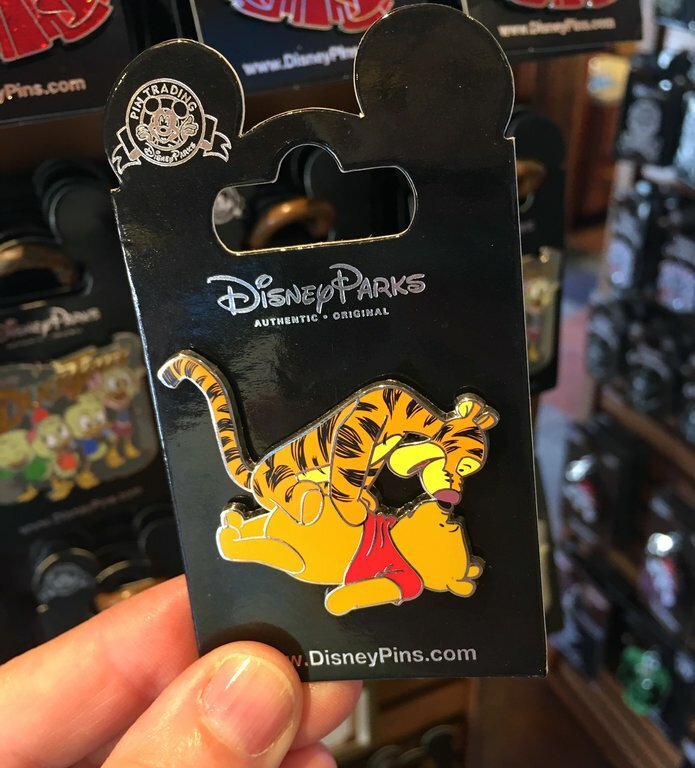 It’s very important to obtain “tradable pins”, defined as a pin that is metal and displays a ©Disney on the back. Step 1: Get a lanyard. Disney’s cheapest is $13. A lanyard starter set with four pins is $30. 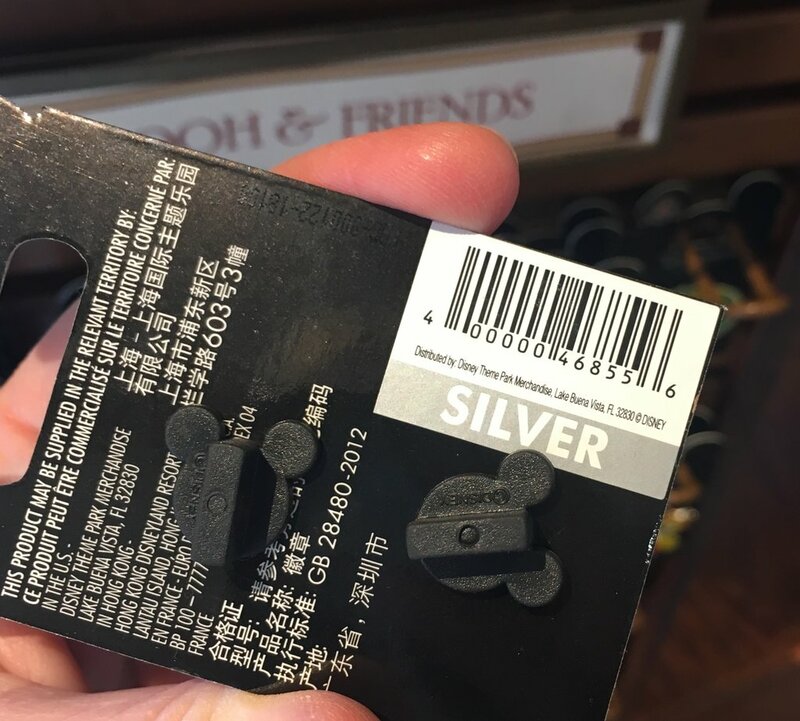 Step 2a: To find out the price of a Disney pin, first check the color on the back. Step 2b: Match the color with the price. Star Wars pins from the 2017 Christmas party. I have been in the habit of purchasing one pin per trip as a souvenir and using them at home as bulletin board pins. The thought of allowing my kiddos to just trade these expensive pins away kind of freaked me out. 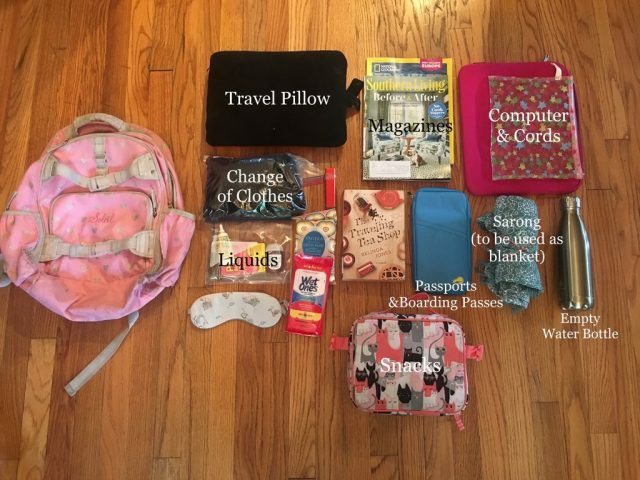 And this is where Cat’s hack comes in, “eBay”. She was right. There were loads of pins available in bulk. I purchased 50 used pins for less than $25 plus free shipping. 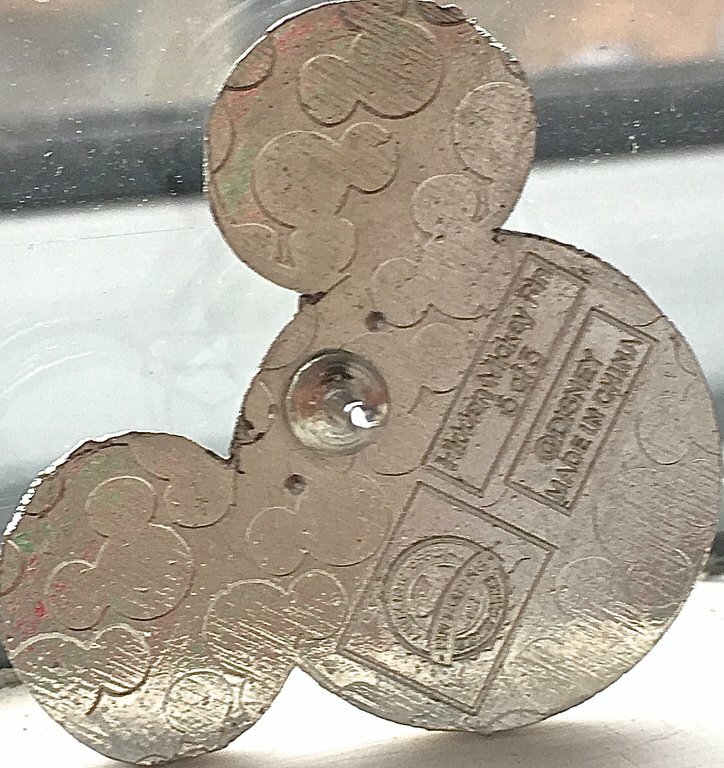 So, before our trip even happened, we received a bag of Disney pins (all metal with the proper stamp on the back). 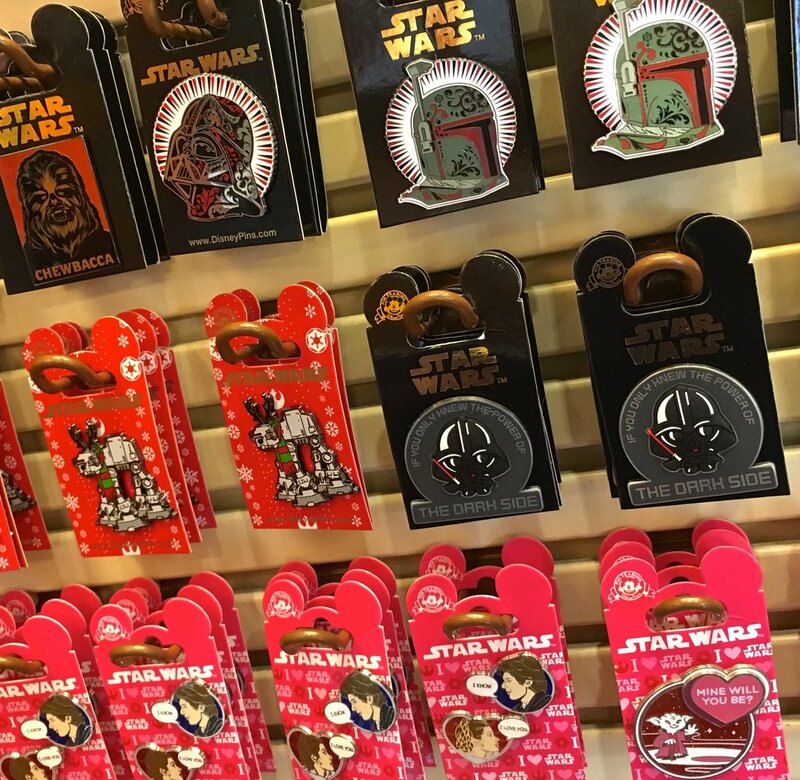 Make sure any pin you intend to trade is metal with the Disney copywriter symbol on the back. It was so fun to open each little pin bag, pick and trade amongst ourselves, and then decide which we would trade and which we would keep. The pins were in fine condition, and we didn’t have a problem trading a single one. We even gave a few pins to our Cast Member cousin, who trades frequently on Main Street, U.S.A. (remember, Cast Members can’t refuse trade requests). I love the interaction with people that pin trading added to our last trip. When you are a pin trader, you have an instant ice-breaker wherever you go. 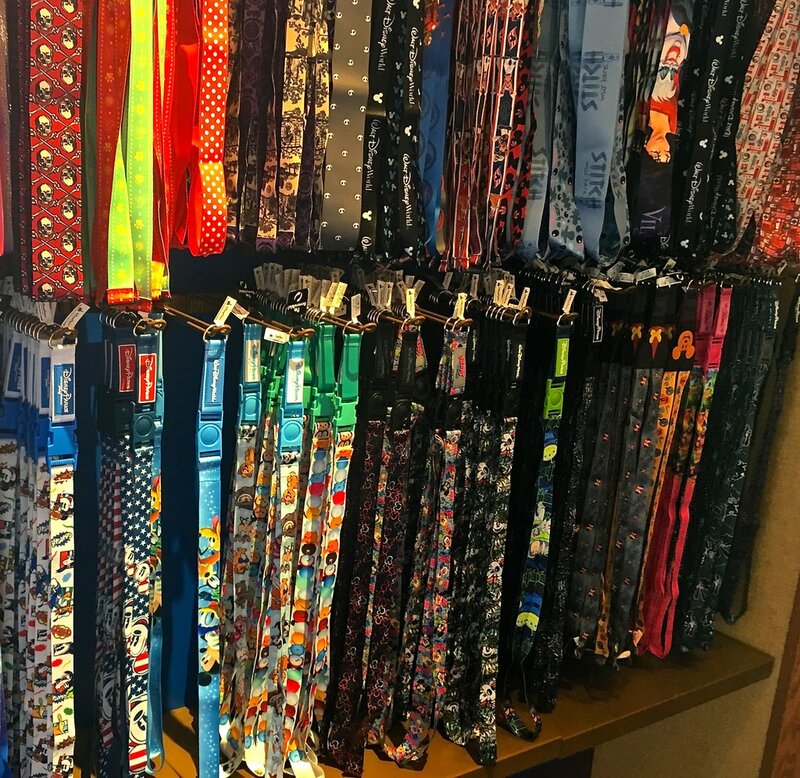 My kids, who often have to be prompted to speak when meeting someone new, were eager to find other pin traders to chat with. Several conversations didn’t even result in a trade. 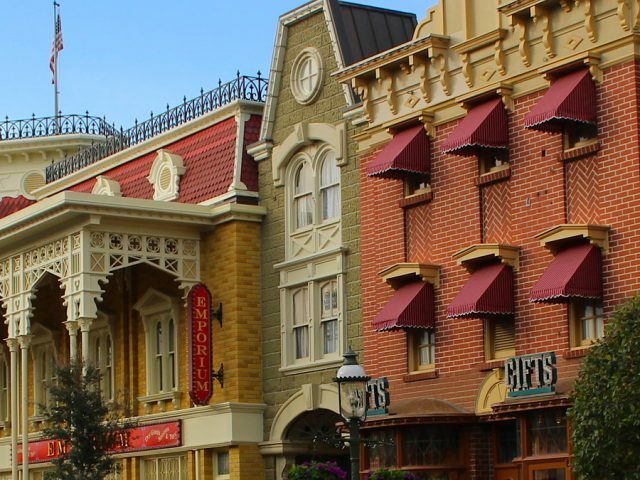 They just liked asking others about their pins and eventually about other park attractions. 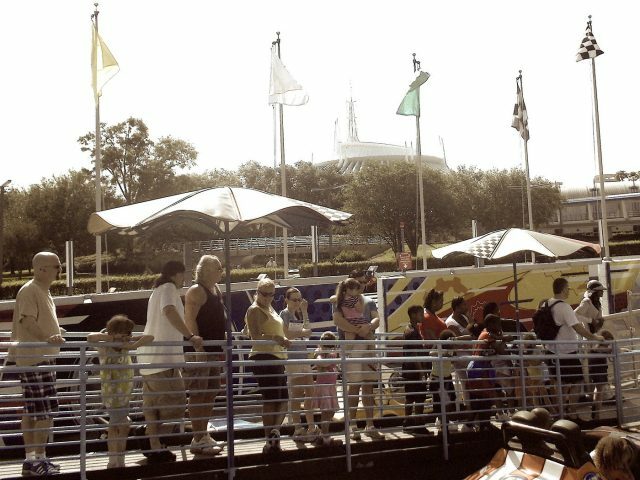 In Epcot, an elderly gentleman stationed himself in the breezeway near the Character Spot and traded with dozens of guests all morning. My kids had a blast looking through his big book of pins, his corkboard display, and his special collection of rare pins that weren’t for trade. It was a really sweet scene. In the end, we came home with 45 pins, some new-to-us and some kept from the original eBay purchase. Each one now has a story as to why it was wanted and where it came from. And next year? We’ll bring the whole lot back and do it all again. No further investment necessary.